An event was organised to help raise money for the church bells restoration. A great time was had by all, and over £2000 was raised. Special Event! 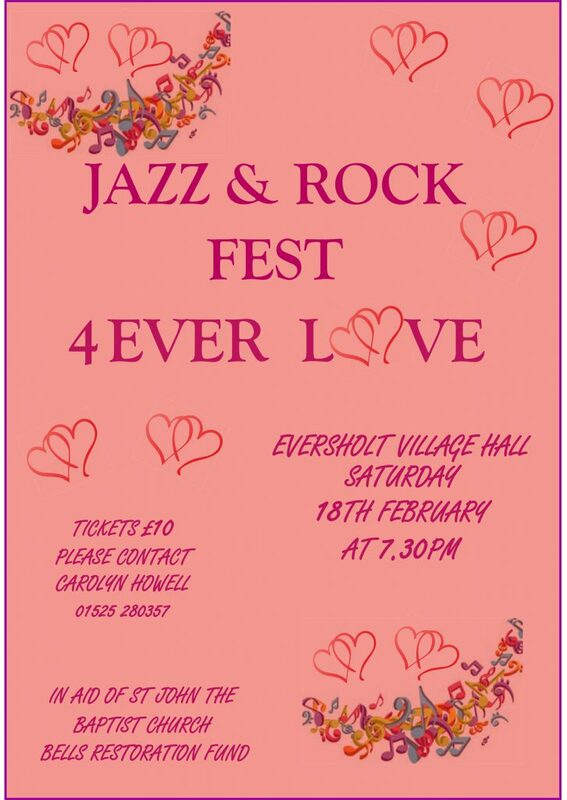 4EverLove Jazz & Rock Festival, Eversholt Village Hall, 7:30pm on Saturday 18 February 2016. In aid of the church bell restoration fund. Tickets £10 from Carolyn Howell on 280357.